Congratulations Roberta! 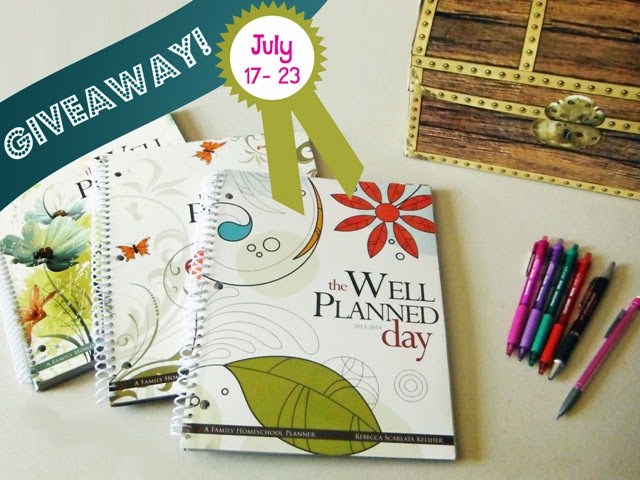 You're the winner of the Student Planner Giveaway! For those of you who didn't win, if you are still interested in a Student Planner, please visit HUDEA and check out their planners! I'm so excited to share another giveaway today with you guys! This time HEDUA is letting me give away their Student Planner to one of my readers! HEDUA asked me to review their student planner. I chose the floral planner for my middle daughter since she's super excited about planning her day, just like her mommy. :) The student planner is smaller than the day planner - only 6" x 9" but it's perfect for young students since they usually don't have as much schoolwork to record! It's laid out very similarly to the day planner in that each month has it's own cutout so she can quickly flip to the current month. There is a nice 2 page layout for the month. She can also write down notes to herself or ideas for stories she'd like to write. Here is what the assignment page looks like - with checkboxes on either end of the line so she easily mark off what she has finished and make note of what she still needs to do. There is also a page to keep track of books she's reading each month for school. It's a great way to keep track especially if you're doing any kind of reading reward program that you need to keep track of minutes or number of books read. There is also a year at a glance page so she can circle special dates she needs to remember. The end of the planner also has several reference pages like capitalization, a conversion chart, a USA map & list of USA presidents, World Map, and a map of the solar system. They are all very colorful and fun to look through. Now for the giveaway! The winner can choose either the tech or floral planner. The giveaway starts today, Wednesday, September 18 and ends Tuesday, September 24! :) For legal reasons, this giveaway is open to US residents only. Congratulations Andrea! You're the winner of the Well Planned Day Giveaway! For those of you who didn't win, if you are still interested in a Well Planned Day Planner, please visit HUDEA and check out their planners! I am so excited to share my first giveaway with you guys today! I was contacted by HUDEA to see if I was willing to share their Well Planned Day planner with one of you guys. Let me just say how excited I was and how quickly I said YES! I've used their planner for two years already and this will be my third year. 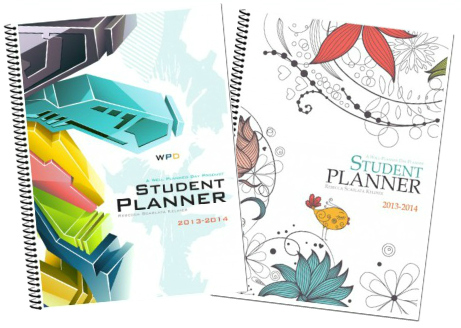 This year’s 2013-2014 Well Planned Day planner has some awesome changes from previous years. Let me walk you through this amazing planner! These planners are 8.5x11 in size and spiral bound so I can lay it flat when writing down information. They have a very modern look with bright colors, making it fun to show off and look through. One of the first updates made that I LOVE are the monthly name cutouts. This makes it much easier to flip to the current month or a specific month if I need to review past or future months. …and four chore cards for my children to keep track of chores and school subjects. and pages to view the year in advance and keep track of your semester goals. Another feature that was updated this year is the monthly calendar – it's now a 2-page layout. I LOVE this update! It’s so much easier to write down important information for all 3 of my children plus me in a larger space. I also love that each day has chapters from the bible to read to help keep me focused on my goal of reading through the bible in a year. I can also make up to six shopping lists each month so if I think of that one more thing I need to get at the grocery store while teaching my kids, I can quickly jot it down and continue with class, not having to worry about forgetting about it by the time I'm done teaching. The weekly schedule is nicely spaced for 4 children’s school assignments. My only complaint is that they have pre-filled the school subjects. I’d like to be able to write the subjects in order that we do school so I don’t feel like I’m skipping something or going out of order from what feels natural in our school day. Other than that, I love that I can check off each assignment for each child as they've completed it. I also appreciate that I can write down our supper plans or important reminders for the week and weekend and don’t have to flip back to the monthly calendar to remember. Holiday planning is a breeze with a short section between November and December to plan for the holidays. I don’t know about you, but I like having a place to write down thoughts for gifts, dates for parties, and how much I’d like to spend per gift. Each semester has pages I can record each child’s progress, grades, and attendance. This makes it super easy to know how each child is doing and where I need to encourage them further. At the end of the Well Planned Day planner is a report card for each child that is printed on nice thick cardstock, so I can give it to my children at the end of first semester and know that it will last until the following semester. I hope you've enjoyed my review of the new 2013-2014 Well Planned Day planner. Now I’d love to share a copy with one of you lucky readers! Please follow the instructions below to register for a chance to win your very own copy of the 2013-2014 Well Planned Day planner. For legal reasons, this giveaway is open to US residents only. 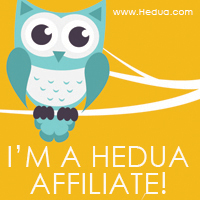 Did you know that HEDUA has an affiliate program? If you are a blogger and would be interested in earning money just for sharing what you love click here for details:http://hedua.com/cart/index.php/affiliates.